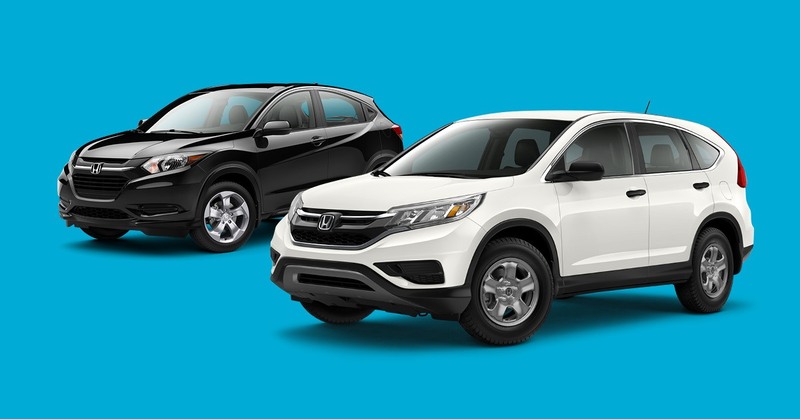 Have you ever wondered what is the difference between an SUV and a crossover (also referred to as a CUV)? It’s not a silly question. In fact, as segments get larger and vehicle designs change, it’s becoming harder to know what qualifies a vehicle as a certain “type.” It also doesn’t help that many auto manufacturers use the two terms interchangeably. The Short Answer: An SUV is built on the same platform as a truck, also known as a “body on frame” design. All that means is the body and the frame are built separately and attached later on. A crossover is based on a car’s design, meaning the body and frame are built as one piece together. Back in the day, almost all SUVs were based on the pickup truck model, meaning they typically had either rear-wheel or four-wheel drive and a body-on-frame configuration. This type of design creates more space inside the vehicle than a traditional car has. It also gives the vehicle a sturdier feel, making it more suited for towing, hauling and off-roading. Some SUVs are still built this way, like the Nissan Armada and the Ford Expedition. Both of these vehicles can seat up to eight and tow quite a bit; 8,500 lbs. for the Armada and 9,500 lbs. for the Expedition. While the body-on-frame design does make for a more powerful vehicle, it also means the SUV is heavier than a car, which hurts the vehicle’s fuel economy — typically, SUVs use more fuel than a traditional car. Crossovers (also know as crossover utility vehicles or CUVs) are lighter, more fuel efficient versions of the traditional SUV. That’s because crossovers are built as (single-body) construction instead of a body-on-frame design. This is why crossovers feel more like cars and tend to have better handling. And while crossovers aren’t designed to haul heavy loads or tow, some are still able to pull moderate amounts of weight. While SUVs and crossovers are designed differently, they also share a lot of the same characteristics. Both vehicles offer owners more space than a car. SUVs and crossovers are also raised higher and give drivers better visibility on the road. Finally, both SUVs and crossovers are more suited to difficult types of terrain and usually come with available AWD. It all depends on your needs. If you have a smaller budget, it’s probably a good idea to buy a crossover. Crossovers typically cost less, both in price and in fuel. However, if you prioritize space, you may want to think about buying an SUV. An SUV is also a good choice if you’re looking to tow something on a regular basis. SUVs usually have bigger engines, more power, and larger towing capacities. They are usually better in off-roading types of situations, too.